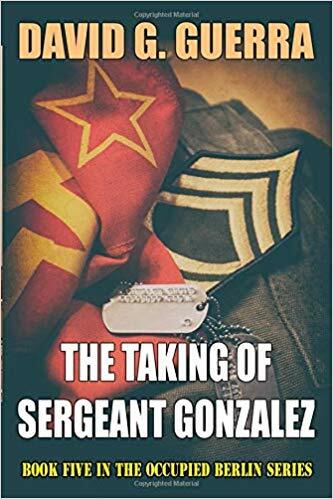 In this work of fiction, Sergeant First Class David Gonzalez is a World War II Veteran, former POW, and now a platoon sergeant assigned to one of the most prestigious units in the history of the US Army, the Berlin Command. In the Spring of 1950, SFC Gonzalez is about to become an unwilling pawn in game of Cat and Mouse played between Soviet Intelligence services and the Western Allied Forces in the divided city of West Berlin during the early days of the Cold War. After the end of the Soviet Blockade of Berlin, things were not back to normal. Berlin’s status as the spy capital of the world was slowly starting to come into its own. However, the Soviets had their own agenda when it came to collecting sensitive information. Being in Berlin meant East and West forces worked in proximity to one another that kidnapping or snatching individuals, especially soldiers from the Western Allies, off the streets of West Berlin by Soviet agents became almost commonplace in the years after the end of World War II and increased after the end of the Berlin Blockade. Whether to extract key operational information or to use them as pawns for other nefarious operations the Soviets pulled no punches with their intentions. 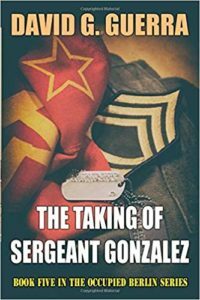 The Taking of Sergeant Gonzalez is now out in Paperback at Amazon. Kindle and Nook version coming Late Spring 2019.